Come join in for prayer, fellowship, and donuts. We are currently putting together a maintenance team to do upkeep and repair on our church campus. This group will meet in the cafe every Friday morning at 8am to pray and organize. 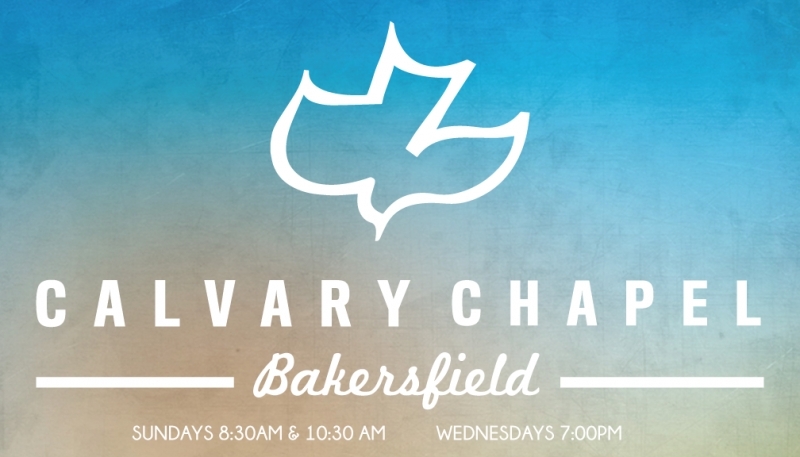 If you have any questions you can email Mike Atkison at MikeA@ccbakersfield.com or you can call the church office 661-397-6000. Do you have a love for people? 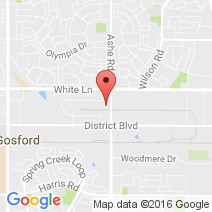 Would you like the chance to talk to and minister to others in a casual atmosphere? If you do, the coffee shop is looking for friendly faces to serve our church body and community in the cafe and the kitchen. No experience is necessary. If you would like more information about this great opportunity please email dylan.wall1617@gmail.com or text 661-862-0757. "Create in me a Clean Heart" will be the title and focus of our Women's Summer Study. This study is for women of all ages and in any season of life. We are inviting our Jr. High, and High School ladies to join us and we look so forward to all that the Lord teaches us this summer. A life of purity is very important to God and it is our hope that this study will help us, as we desire to live a life of purity in a impure world. I hope that you can join us. We will meet on Wednesday Evenings at 7:00-8:30pm (this study will take the place of ladies attending Wednesday Evening Service) we will begin this 4 week study Wednesday August 8th and ends Wednesday August 29th. Visit our Women's Ministry Awning for more information and to sign up or you can call Sherrill at (661) 477-3533. Cost to attend study will be $5.00 for study binder. Please sign up soon so that we can be sure to have a study binder for you. Come and join other college age students and young adults as they study through God's Word, pray, and fellowship together. All CD'S in our bookstore are currently 60% off! Chris Sligh CD's are $10.00 each. Come and browse through our collection and take advantage of this great sale! We have a serving opportunity for Wednesday Night Children's Ministry. Both teachers and helpers would be appreciated as we accomodate the growing needs of parents for the midweek service. All curriculum, activity sheets, and snacks are provided. This opportunity is currently running, and will end mid-September. We are currently looking for teachers/helpers who could serve once a month! or call the church office 661-397-6000. We invite all ladies Jr. high age and older to join us for our 14th Annual Legacy Event, Saturday August 18th from 10:00-3:00pm at Liberty High School. The cost is $10.00 per lady if purchased by Friday August 17th at 12 noon or $12.00 at the door (cost includes lunch). Visit our Women's Ministry Awning for more information and to purchase your tickets. You can also purchase tickets at our church office Mon-Fri 1:00pm-4:00pm. Call Sherrill at (661) 477-3533 with any questions and if you would like to help serve at this years event. Beginning June 10th--Immersed Summer Poolsides. Sunday, from 6pm - 8pm. The locations will vary, so to learn where the next poolside will be contact Martin@ccbakersfield.com or MButler@ccbakersfield.com. Boys bring the drinks, Girls bring the snacks. All students must wear shorts and a non-white t-shirt. If you or someone you know is suffering from addiction and wants help please consider joining us every Friday evening in the cafe from 6:30 to 8:00 pm for a time of fellowship, worship, and the study of God’s Word as it relates to Addiction, Recovery, and Victory. Connect Groups are a time to gather for fellowship outside of the church walls. We have 4 different groups that meet thoughout the month. Click on the link below to get the locations. Is there an area of your life where you need victory? Do you desire to live in obedience towards Christ? If so, you are invited to join us Tuesday mornings from 6-7am in the Cafe, where we will look to God for the victory that is ours in Christ. If you wish to help bless new believers in London with what they need to grow in the Faith, you can purchase a Start! Bible in our bookstore and set it in the box at the back of sanctuary labeled "Bibles for London." Every time we get 10, we will ship them to Shoreline Calvary North London. Every 4th Saturday, we go door-to-door in our neighborhoods to reach people for Jesus. Contact Paula Munyon 619.483.3871 for meeting times and more information. We now have two weekly meeting times for prayer: Mondays at 7:00pm & Thursdays at 6:00am. Join us as we seek the Lord together. All are welcome! Join us Thursday Nights in the High School Room in the 600 building at 7:00 pm as we study through the Bible in 1 year. Genesis through Revelation. Come early for food and table talk at 6:30 pm. 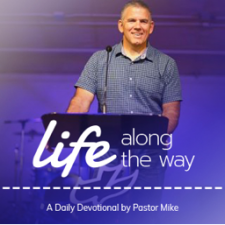 “Life Along The Way” is a daily devotional by Pastor Mike going through the Bible. Read it or listen to it, share it with family and friends. Find it at ccbakersfield.com or on your phone through Bulletin Plus. All communion crackers served during service are gluten free!